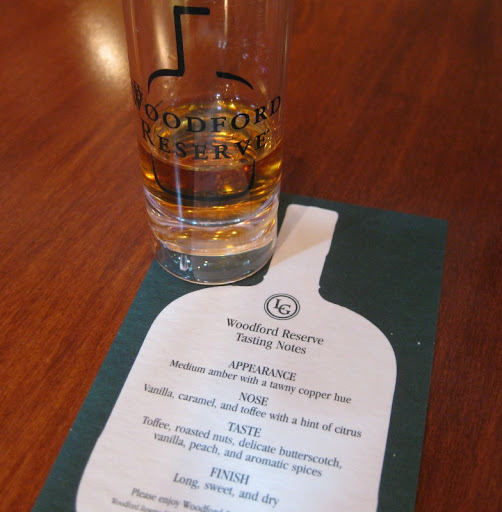 The first stop on our Kentucky Bourbon tour was Woodford Reserve Distillery. It is located in a beautiful setting amid the sweeping green fields of Thoroughbred farms. 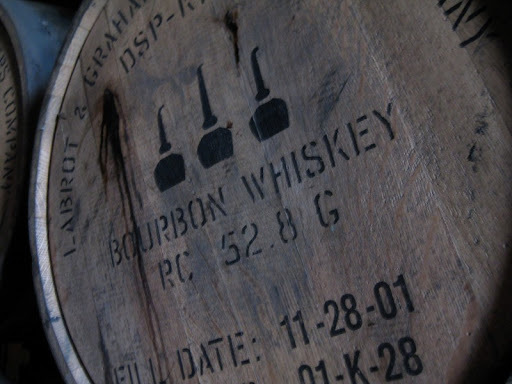 We took a very nice tour (5$) of the facility that goes through all of the phases of the operation. 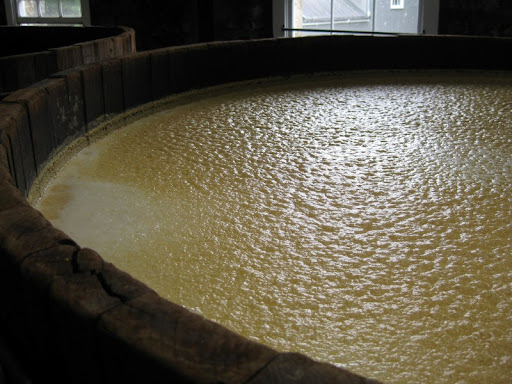 The massive fermentation tubs boiling with yeast activity are fascinating to watch. 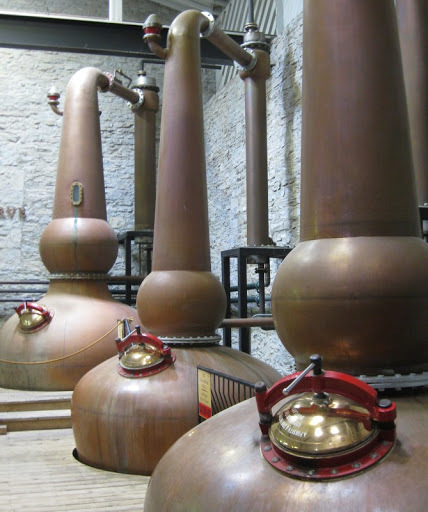 They do a three-stage distillation using copper stills brought over from Scotland. 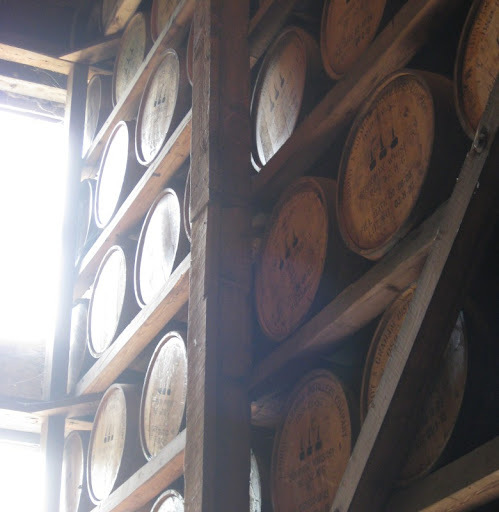 It is hard to beat the atmosphere of a whiskey warehouse, with barrels of aging spirit stacked from floor to ceiling. 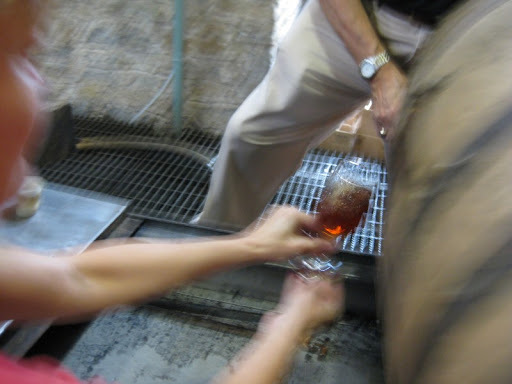 Here is Sherry getting a pour straight out of a barrel. 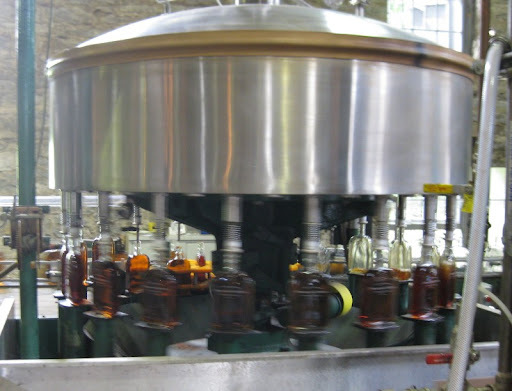 Unfortunately, we were only allowed to smell and not taste (some song and dance about "health regulations").